Hi, my name is Billie Jo Dood but most people just call me BJ. I am a 43 year old Florida native, and I currently live in Bradenton, FL. My husband and I have been together for 26 years and we have two wonderful children who are 23 and 17. I have a new daughter in law and a new grand baby. 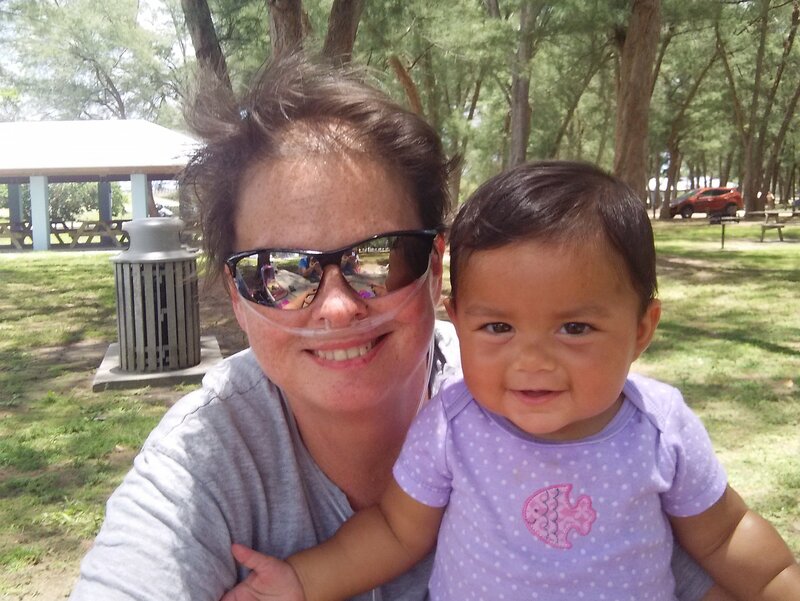 After several tests it has been determined that I have Bronchiolitis Obliterans or interstitial lung disease with severe obstructive pulmonary disease (SOPD), a terminal illness that can only be resolved through a double lung transplant. The doctors say I need this transplant because my lungs are getting weaker causing me to have a difficult time just to breathe, or for example: taking walks with my granddaughter. Unfortunately this is a battle that I cannot fight on my own. Getting this transplant will depend on whether I have the funds to pay for all of the expenses surrounding it. Between the cost of anti-rejection medicines (which I’ll be taking for the rest of my life), transportation costs, and living arrangements for the length of my stay at the transplant center in Tampa, my family is completely overwhelmed. With the limited amount of insurance coverage that I have, I am going to need your help. To make a credit card contribution, please call 800-642-8399 or click “Donate Now” on this page. Thanks to everyone that donated lets keep working! 4-19-2016: I’m here at the Hospital awaiting my first appointment. One day of testing. A special thanks to the plant place ( Kevin and Gary Adams and family)for the fund raiser. Going to Tampa next week for a follow up visit would love to see some more funds raised so I can give a good report on the fund raising. Doing okay today. Cant believe all the support that I have received thus far. Thank you for all of your help. Keep spreading the word.